What Is Bye Felicia Origin, What Does It Even Mean, Why Are People Saying It? 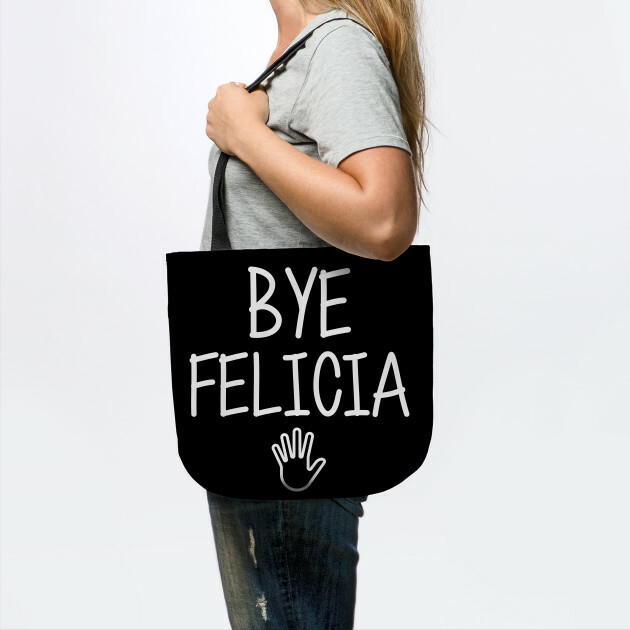 Bye Felicia is actually Bye Felisha, and until 1995, if you use those words, it strictly means what it says – goodbye Felicia, bye-bye, adieu, farewell, and be good Felicia. It would be nothing more but an expression of good wishes when you are parting with some Felicia. This is no longer the case, Bye Felicia, like all other phrases and words you would regard as a slang, is now restricted to a particular context and specifically used for people exhibiting a certain behavior. Of course, the phrase is very informal, you would hardly come across it in writings. Since slang words and phrases invaded the human method of communication and pulled down the strong walls of languages, most of us have been striving to put a leash on it. Quite unfortunately, we all have been unable to effectively accomplish this feat as words we could barely grasp are being thrown at us every now and then. In view of that, it is faintly a surprise that many have been wondering what the Bye Felicia phrase is all about; if you are one of those, here’s your treat! Read on to learn more about the origin of the phrase, what it means, and why people are saying it. What Is Bye Felicia Origin? Every word, phrase, famous quotes, and wise saying have their origins and the beginning of Bye Felicia has been traced to O’Shea Jackson Sr., the American rapper, and actor whom you would probably know as Ice Cube. The first time the phrase was used in the context that it is now commonly used was in 1995’s F. Gary Gray-directed American comedy film, Friday. In a scene of the film which Ice Cube co-wrote, Felisha Parker (portrayed by Angela Means) became the first person to get those words. It’s already over two decades since the saying was first used, but the phrase has thrived, gaining popularity even among people who are yet to watch the movie. Bye Felicia was a common internet meme in 2014, it is said that the phrase thus far, was mostly used in mid-2015. Meanwhile, there are other factors that have contributed to the popularity of the saying. For instance, Jordin Sparks’ first mixtape was titled #ByeFelicia. This went a long way in familiarizing the phrase among the numerous fans of the American singer just as the VH1 show – Bye Felicia – did with its thousands of viewers. As the mixtape was released in 2014, the same year VH1 started its show, you don’t have to wonder why Bye Felicia memes were always going viral then. For most people, Bye Felicia is the perfect way to dismiss people who think they are indispensable whereas they are unimportant and are in fact, regarded as nuisances. True, Felicia is a feminine name but that does not mean you can’t use the Bye Felicia phrase while addressing a male. There’s more to it. Like Ice Cube explained, it is a phrase to use whenever you have to get anybody saying something stupid out of your face. Don’t be surprised when you get Bye Felicia memes savaging you for posting trolls like “all men are cheaters” on your social media pages. Read Also: What Does Demisexual Flag Look Like, What Does It Mean To Be Demisexual? Why Are People Saying It? From the foregoing, it is pretty obvious why people are fond of the saying. The phrase is a perfect dismissal for annoying people who for a reason or the other, have overestimated their worth. People are using it because it is a cool way to shut infuriating persons up. More than that, it is equally a badass way to specify that their absence would be cherished. If we must pick synonyms for the saying, phrases like “take a hike”, “get lost”, “shut up”, “piss off”, “go to hell”, and “away with you” would make our list. In a nutshell, people are saying Bye Felicia because it is the unvulgar way to say “f**k off”.